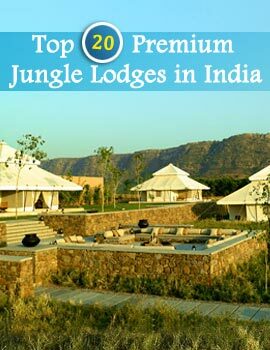 Pench Tiger Reserve is one of the beautiful wildlife destinations of Western India. Famous as the setting for Rudyard Kipling's Jungle Book, Pench Tiger Reserve, Maharashtra is the ideal destination for its rich variety of flora and fauna. Nestled amidst the sprawling greenery covering both Madhya Pradesh and Maharashtra, it is one of the major tourist attractions. 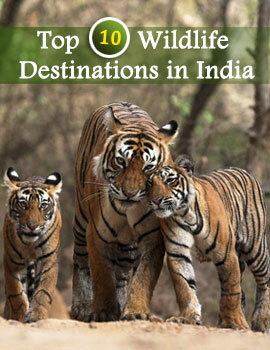 The best time to visit the Pench Tiger Reserve is from 1st October to 30th June. The Park remains closed during the rest of the time. Get a glimpse of the one horned gaur, Sambhar, Chinkara, Chitals, blue bulls, macaque, langur, wild boar, bears and wild dogs, deers and leopards, tigers and civets. Many of the animals are endangered species while some are endemic to the region. Besides this there is also an abundance of reptiles and snakes. Enjoy breathtakingly beautiful views of this wildlife sanctuary of Maharashtra on your tour to Pench Tiger Reserve. Apart from the animals you can also find a vast array of avian species like Peafowl, Red jungle fowl, Crow pheasant, Crimson breasted barbet, Red vented bulbul, Racket tailed drongo and Magpie robin and lesser whistling teal. There are 210 species of avian population. The forests of Pench are intersected by rivers and lakes and rivulets. Pench Tiger Reserve in Maharashtra not only allures people for its fierce tigers but even its green and beautiful riverine forests and offers you a unique retreat which brings you close to nature. On your tour to Maharashtra take a trip to this wildlife sanctuary of Maharashtra and spend a few days amidst the greenery and serenity of nature.